Cork teams will put their best foot forward in music, song, story and dance in search of overall provincial accolades in the Munster ScÃ³r Sinsir Finals. The Finals are hosted by the Ãire Ãg GAA Club in their Pavilion at Ovens on this Saturday, 29th March commencing at 6.30pm. Cork are represented in all seven disciplines. Individually, Kilbrin's Una Cremin participates in AmhrÃ¡naÃ­ocht Aonar and St. Johnâs, John OâSullivan in Aithriseoireacht. Elsewhere, Boherbue are represented in both the Rince Foirne and Rince Seit. 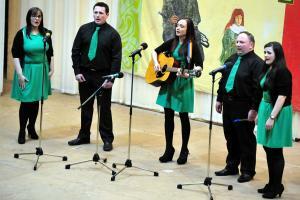 Freemount are sure to raise the cheers, both at Ceol Urlise and BailÃ©ad GhrÃºpa. Finally, the Bride Rovers LeiriÃº were delighted at their advancement into the provincial decider.